We do not curently have theatre tickets available for LANY. This could be because we have simply sold out or it could be that this show is no longer running. The information on this page remains purely for historical and informational purposes. 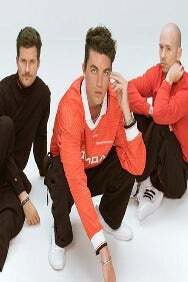 Los Angeles alt-pop trio, LANY confirmed their status as one of music’s fastest rising groups with the release of their euphoric and utterly captivating album, Malibu Nights&. Full of joyous pop hooks and tender ballads, it’s a stunning collection of songs and they’ll be taking it on the road for an extensive world tour in the spring.